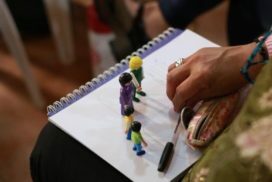 A miniature lifestyle kit for problem evaluation & conflict resolution - it's a consultant at your fingertips! Play of Life® is a 3D-simulation technology, it transfers subjective concepts and ideas into objective three-dimensional images. Play of Life® has been designed to rapidly effect positive transformational change in you, individually and for teams, groups, organisations, couples or families. 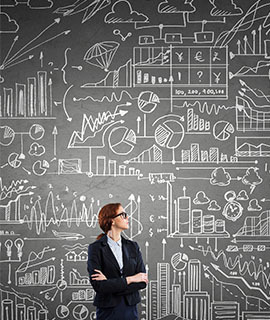 The methodology is practical, elegant, respectful and engaging, and people relate to it readily. -- and most importantly, the first step they can do to get there! 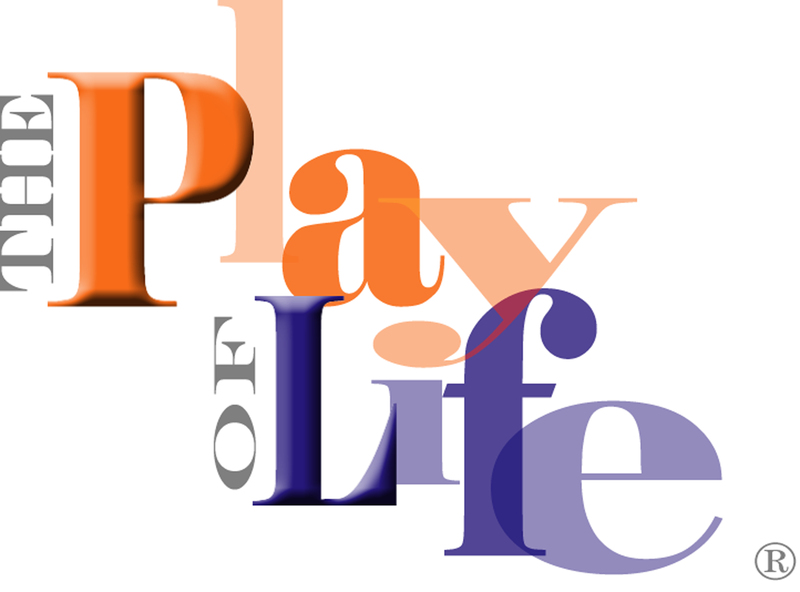 The Play of Life® has been used for self-help and professionally in the fields of Psychotherapy, Counselling, Corporate and Life Coaching, Supervision, Spiritual Direction, Supervision Relational Therapy, Teamwork, Spiritual-Religious Communities. You can learn it for yourself or incorporate the Play of Life® as part of your professional, coaching, counselling or management Tool Box. "Play of Life® was revealing and confronting in a way I never realized or had given any thought." "In doing the Play of Life®, I felt a new insight happen"
"The self-representation technique has brought a big change in me and I feel healed and uplifted." Play of Life® produces breakthroughs in any area where success and growth rely on individual insight and interpersonal dynamics by allowing people to present issues, concerns, feelings, dreams and goals three-dimensionally. People go beyond verbal descriptions and explanations to literally ‘see’ relationships and situations clearly, bypassing the neo-cortex - where language is located - to directly connect with the limbic system; that part of the brain that deals with emotions and memory. By linking the limbic system, people fast-forward to the crux of the matter and experience those magical ‘aha’ moments. From there they have a stronger platform from which to name unwanted behaviours and roles with objectivity, and then to visualize and simulate new behaviours without heat or pressure on themselves. This is the cornerstone of the Play of Life® methodology. Put simply, the Play of Life® makes communication easier, and makes positive behavioural transformation faster. 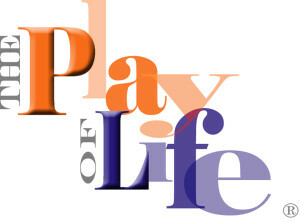 Play of Life® is applied extensively in the fields of leadership, Life and Corporate coaching, psychotherapy, counselling, family dispute resolution and self-analysis. Why choose Play of Life®? 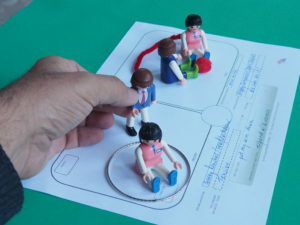 Each course incorporates 3D Simulation Play of Life® techniques and the Strategic Relationship Management Model. Play of Life® ingeniously transforms a complex issue into a simple and visual representation of the situation. Our courses are designed to meet the needs of busy professionals working in corporate positions and in business. Possible solutions can be seen more clearly enabling you to assess the performance index of any relationship to see whether it is being optimised or minimised. Learn neuro tools for fast- tracking individual, team and organisation cultural transformation. Learn the Play of Life® for your personal use and professionally. Professionals can be formally accredited as Play of Life Practitioners. -- Have a better insight into your life, know where you are. -- The First Step towards achieving that goal. -- Clarifying what’s happening in an difficult, stuck conversation. -- “See” the other person’s point of view. -- “Show, share: with the other person your point of view. -- Get a better and quick resolution to conflict.